If you had money in Brierley Investments back in the ’80s, then you were one of the overseas investors who owned 1/3 of the island of Moloka‘i. And if you left your money in there through all the morphs that BI underwent as it was moved from the New Zealand to the Singapore stock exchange, and its name-change to Guoco Leisure and then GL Ltd, you still own it. Now that Moloka‘i Ranch (MR) is on the market for US$260 million, you no doubt hope for a quick sale, but you aren’t holding your breath. In a recent newspaper article, the realtor handling the sale was quoted as saying that, realistically, only a billionaire could afford to buy it and there are only 2000 billionaires in the world. (Larry Ellison already owns 98 percent of our neighbor island, Lana‘i, so let’s party like it’s 1999.) But there’s a movement afoot on the island for locals to somehow raise the money themselves in order to protect the cultural sites and access to subsistence fishing and hunting, and to stymie any attempts to build luxury housing or short-term rentals that would be the wedge in the door opening into the hell that is the tourist-$$-soured O‘ahu Island experience. The island has a population of 7200, half living below the federal poverty guidelines for entitlement to social welfare services. Hence my plea to Thor. 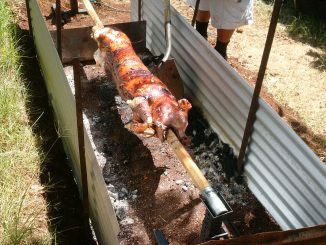 Maybe the former Minister for Trade Negotiations, Philip Burdon (Independent Non-Executive Deputy Chairman of the Board of MR’s parent company, GL Ltd) and Thor’s handler, Taika Waititi, could sit down over a nice huli huli pork feast and negotiate a way that a portion of the profits from the upcoming Thor movie could be used to buy/reinvigorate Moloka‘i Ranch. With its beautiful beaches, dry brown landscape, and access to rainforest it could be the backdrop to any number of movies. There’s plenty of (currently shuttered) accommodation on the land all ready for cast and crew members, plus a ready supply of labour, both unskilled and skilled, just waiting for the opportunities having a movie production company permanently on the island would bring. Heck, our local intermediate school pupils even beat China at a recent world robotics competition! We’re no slouches. During the Great Mahele (land division) of 1848, when Hawaii’s sovereign tried to keep hold of as much land as possible for the kanaka maoli (Native Hawaiians)—either as individual landowners or as government lands held and administered on their behalf—certain lands were also designated as belonging to the Crown in fee simple. (We’re talking about an actual in-situ Crown, here, unlike the situation in New Zealand, where Crown lands are government lands.) In 1863, Lot Kapuaiwa (later, King Kamehameha V) gained title to extensive acreage at the west end of the island and began raising cattle there. Upon his death, the land title passed to Princess Ruth Kelilokalani, who died in 1883, and then passed to Princess Bernice Pauahi Bishop, who died the next year. In 1897, as annexation of the Hawaiian Islands became increasingly likely, a group of Honolulu businessmen purchased 70,000 acres from the trustees of Princess Pauahi’s estate, and leased another 30,000 from the Hawaiian government. Although the US pretext for the annexation in 1898 was the need for a coal refueling station (Pearl Harbor) in the Pacific in order to carry out the subjugation of the Philippines during the Spanish-American War, the Americans in Hawai‘i had long pushed for annexation, not wanting to be charged the tariff that had been imposed stateside on sugar from non-US sources. American Sugar Co began sugar operations on the Ranch, but soon found there just wasn’t enough rain or groundwater, and that wells quickly turned brackish. So, in 1908, Charles M. Cooke bought out his other partners and returned to cattle ranching, along with raising sweet potatoes and wheat crops, and producing honey. As the decades went by, the company diversified its income stream by leasing land to two major pineapple-growing companies (Del Monte and Libby’s/Dole) and making forays into the tourism industry. In 1977, Sheraton built the 140-room Kaluako‘i Resort hotel and golf course on land it owned within the Ranch’s boundaries. By 1978, the Moloka‘i Wildlife Park was offering safari-like tours on ranch lands. And in 1986, Brierley Investments bought the Cooke family’s interest in the Ranch, becoming its sole stockholder in 1987. Plantation architecture is everywhere on Moloka‘i, and even the names of various residential districts reflect the industry’s pervasive influence on island life—for example, Manila Camp (many of the field workers were Filipino) and Ranch Camp. Generations of teenagers earned money working in the fields over summer, many families from other islands sending their kids over to stay with relatives for the duration of the harvest. The Native Hawaiian lessors of Hawaiian Homeland plots would sub-let their land to the companies, earning extra money. But in 1988, the final pineapple plantation on the island, Del Monte’s, shut down. It was cheaper to raise (and can) the crop in low-wage countries like Thailand. The Ranch continued with its cattle operations, and in the late 1990s, BI began a foray into tourism. Luxury tentalows (tent bungalows) were built at a campsite near the beach at the west end, and in the town of Maunaloa—constructed during the booming plantation era—the company opened a cinema, general store, and the $11 million, 22-room Moloka‘i Ranch Lodge. 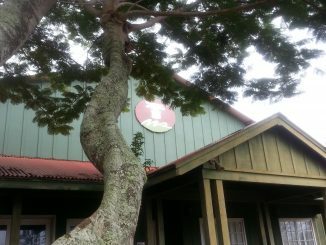 Between the Lodge and the competing Kaluako‘i Resort and golf club, some 200 jobs were available for locals in the tourism sector. The company running the resort and golf club bailed on its investment in January of 2001, closing it down with a loss of 99 jobs. 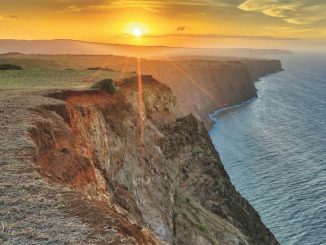 Moloka‘i Ranch, bought the 4,100 acres where it stood, and announced it planned to sell 42 house lots and reopen the golf course. No way, said the stalwarts of the ‘Moloka‘i is not for sale’ movement. The Ranch came back with a master plan in 2004 that would involve the Ranch donating 26,200 acres to a trust for the public benefit—including affordable housing—and using the profit from luxury home sales in a 500-acre development site at La‘au Point on the southwestern tip of the island to reopen the Kaluako‘i Resort, bringing back much-needed jobs. There were meetings. There were studies. A community-based land use plan was hammered out. 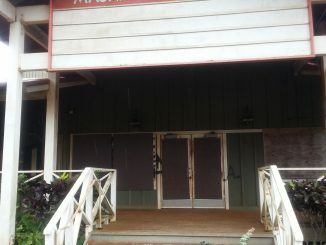 MR donated acreage it owned in the Ranch Camp area of the island’s main town for a new hospital and fire station and to the satellite campus of the University of Hawaii’s Maui Community College. And in 2006, it petitioned the Hawaiian Land Use Commission to rezone the area where it wanted to build its subdivision of luxury housing at La‘au Point from Agricultural to Rural, which allows for housing, and included an Environmental Impact Statement Preparation Notice. 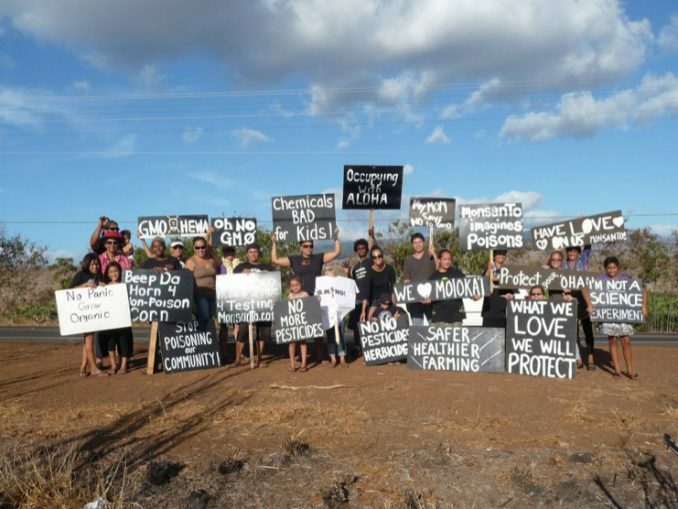 Surprisingly, it was the Hawai‘i Supreme Court that brought an end to MR’s plans, and for a reason that had nothing to do with the community’s demands, which seem, from what I’ve read, to have been largely met by the Ranch’s owners, including respecting concerns about cultural and subsistence issues. In November, 2007 MR withdrew its actual Environmental Impact Report in the face of a critical government staff report, but the mortal blow came in December that year when the HI Supreme Court ruled that a permit issued by the State Commission on Water was invalid. The permit allowed MR to take a million gallons a day from its Well No. 17, water that was or would be used to supply the town of Maunaloa, the golf course, an industrial park, beach lots, and already existing condos in an area zoned Resort. In March, 2008 the Ranch closed its tourism operations, resulting in a loss of 120 jobs. Put that in your pipe and smoke it, Moloka‘i! Oh, and, howzabout fashioning your pipe from a corn cob…there’ll be plenty of them now that we’re leasing large swathes of our land to Monsanto and Mycogen Seeds (a Dow company) so that they can test GMO corn seed varieties. We know you’re anti-GMO, but how can you resist the job opportunities those companies will create to fill the void we just created! Sure enough, a 2014 ballot measure seeking to get rid of GMO enterprises on the island failed. Please forgive the sarcasm; I’m just trying to convey the acrimony surrounding the Ranch’s actions, which were widely seen by locals at best as the actions of uncaring, money-hungry foreign owners, and at worst as just plain vindictive. The anti-sale movement has been led in large part by long-time activist Walter Ritte. 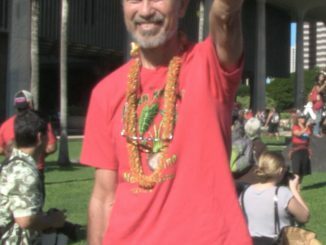 Ritte spoke recently at an recent event promoting Hawaii’s appeal to an International Commission of Inquiry to get the US usurpation of the islands in 1893 declared illegal, as a step towards Hawai‘i becoming a sovereign nation again.. The anti-sale movement has launched a two-pronged campaign. 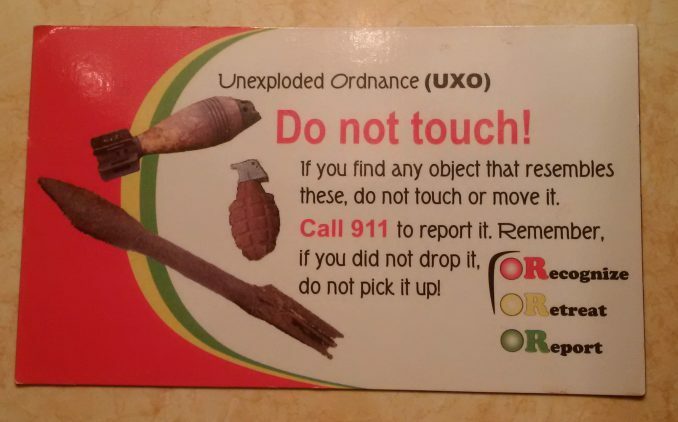 One prong is the attempt to somehow find a way for the Ranch to be bought by locals. For that, the whole community will have to actually care about it, so there will be petitions, marches, prayers. Seems to me, only Thor could deal with all that.